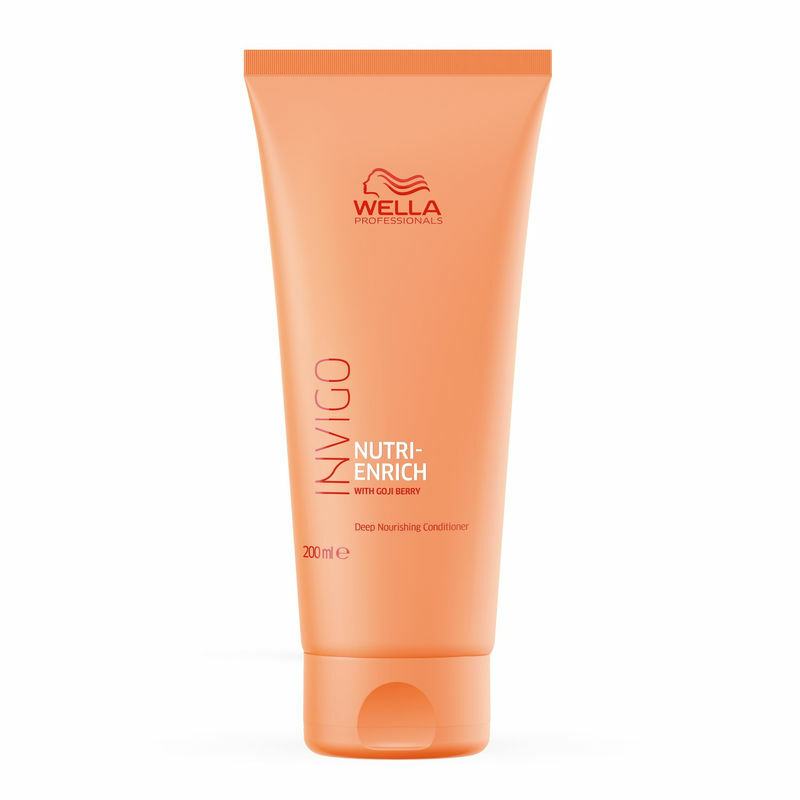 Wella Professionals Invigo Nutri-Enrich Deep Nourishing Conditioner, is a moisturising hair conditioner. Enriched with goji berry known to be extremely rich in vitamins, minerals and peptides, it deeply replenishes and moisturises dry and stressed hair. Formulated with vitamin E to protect the hair from further damage, optimum hydration is restored courtesy of panthenol and oleic acid contained in Wella’s unique Nutri-Enrich Complex. 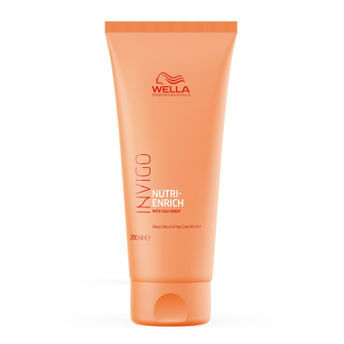 This conditioner offers instant, deep nourishment for absolute smoothness, manageability and movement.